Your fingerprint is the key. 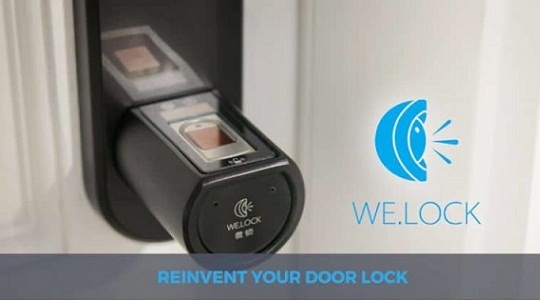 Welock is the latest ultra smart lock makes life much easier. You won't need to carry or pass on keys to unlock doors. Just register fingerprints and it will unlock. You can use remote control, bluetooth via your smartphone. Yes, that's so easy. Welock can store a maximum of 999 fingerprints with 3 admins to control the main lock. Not only your house or premise it can nicely cover the keep safe your office and working premise to have entry access to only authorized people. Welock AI.One uses Sweden designed FPC fingerprint sensor and semiconductor biometric fingerprint technology to ensure your safety. It uses triple AAA battery which lasts more than a year. It can also lock automatically in case of stranger brakes in. If it runs of battery, you can use a smartphone to unlock the door. Protect your entire family and people with the AI.One ultra smart lock.